Hosco's highest quality fret slotting saw cuts slots quickly and easily with its precision thickness crosscutting saw blade. 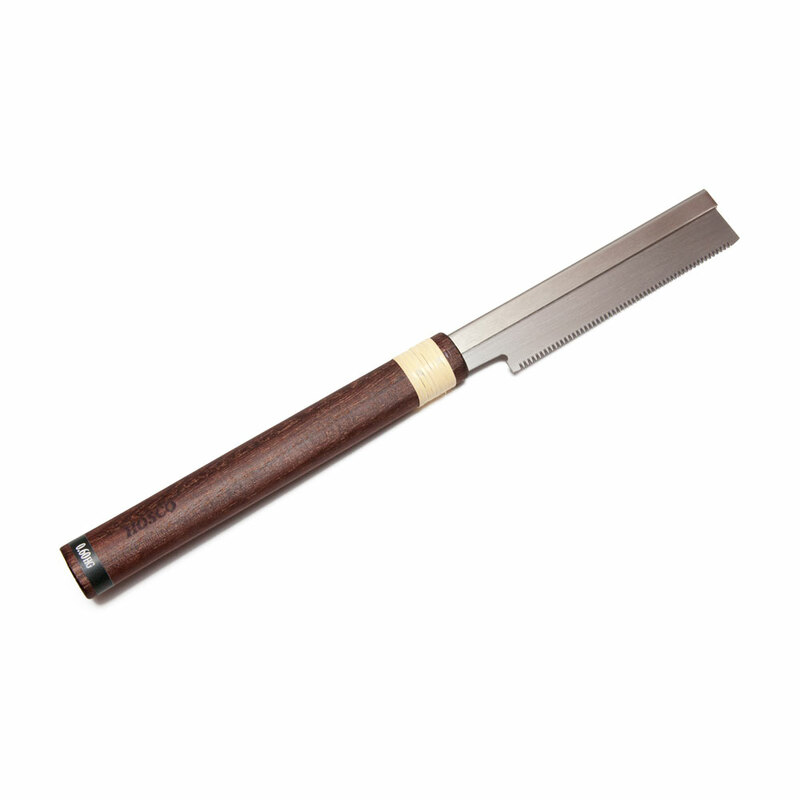 The Japanese saw cuts only on the pull stroke for straighter more controlled cuts and the blade is reinforced with a top rib. The blade depth is 20 mm (0.8") so to use with our Fret Slotting Mitre Box will require the fretboard being mounted to a board to bring it up to the bottom of the saw.